The show starts at 6:30pm. 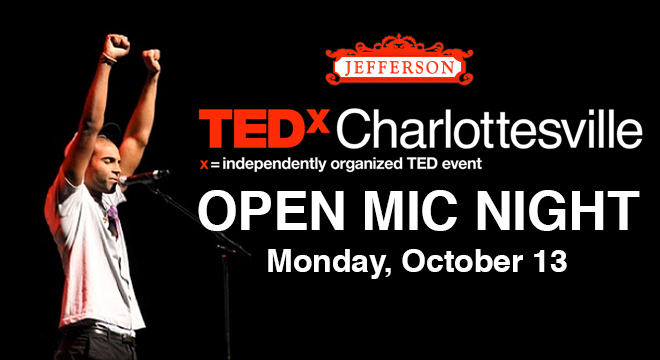 Don’t miss this chance to help determine who will be on the big stage for TEDxCharlottesville! !